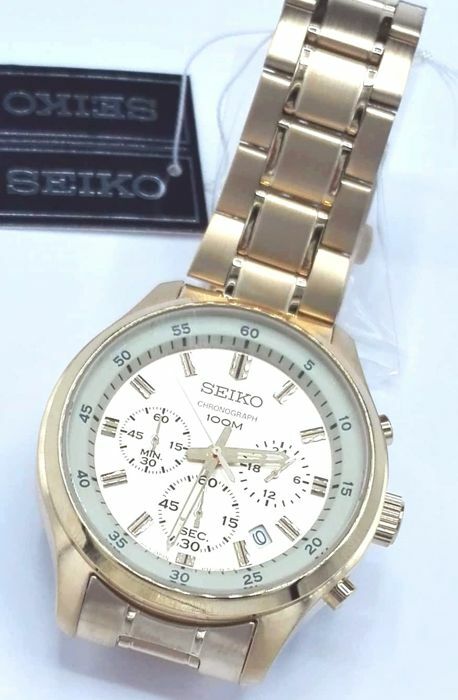 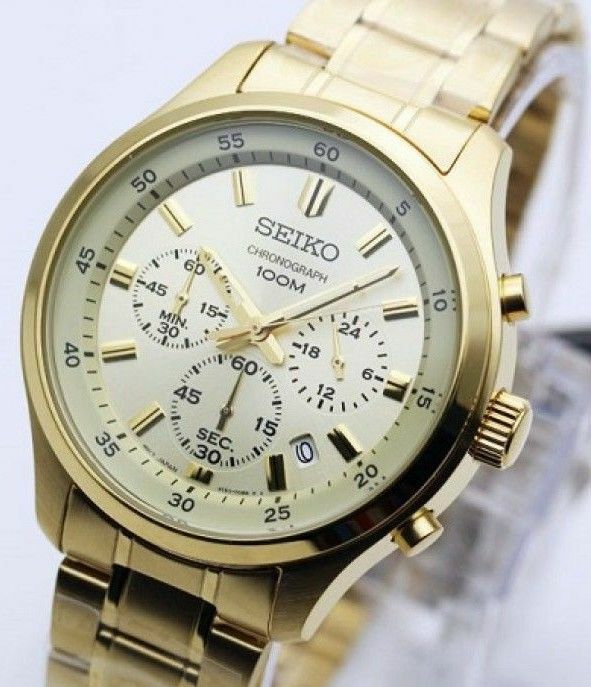 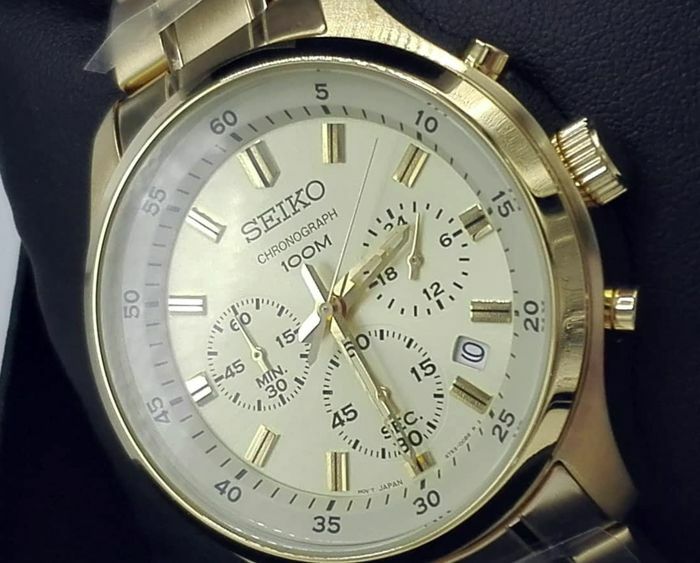 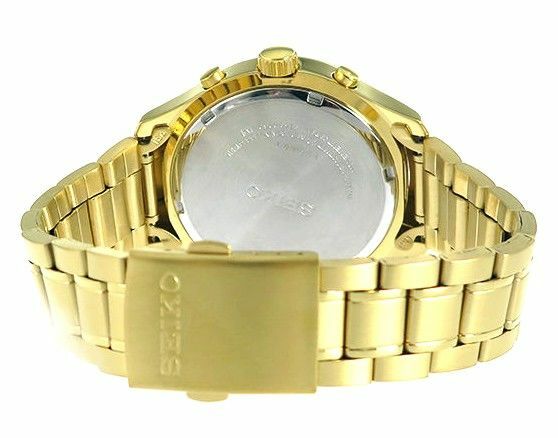 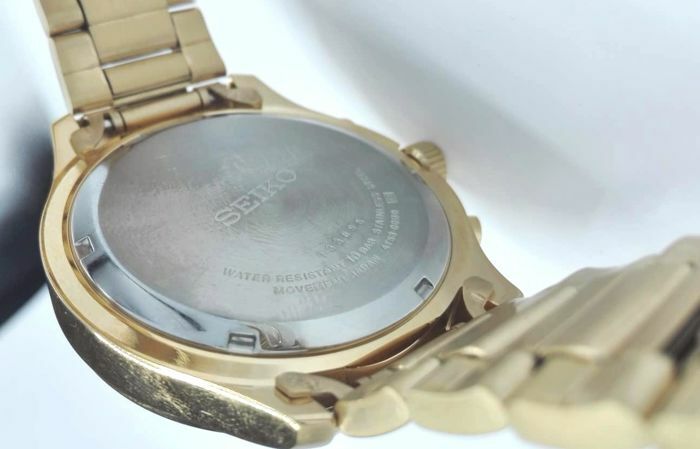 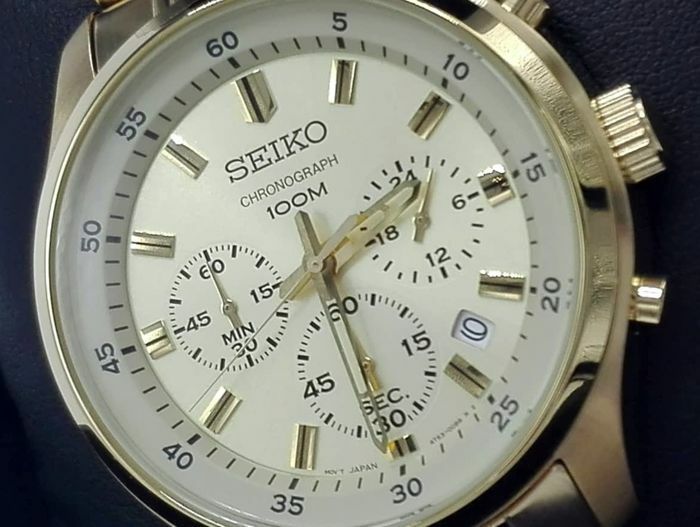 Chronograph Seiko, sold out, impossible to find. 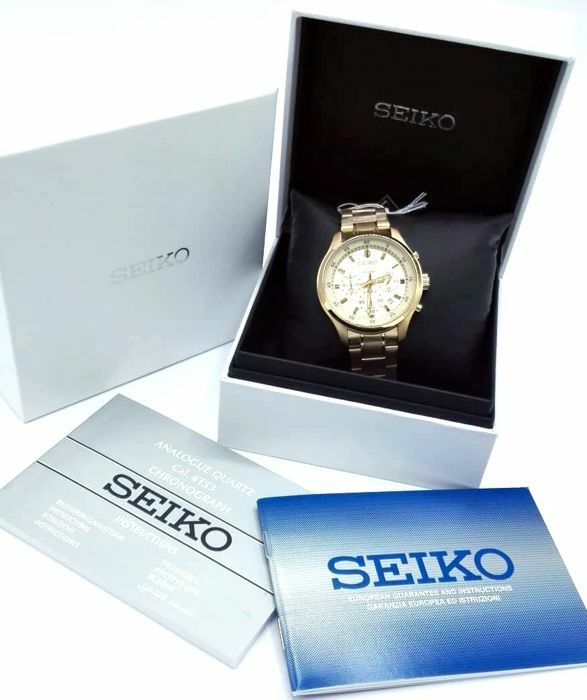 New, complete with all original accessories, documents and box by Seiko. 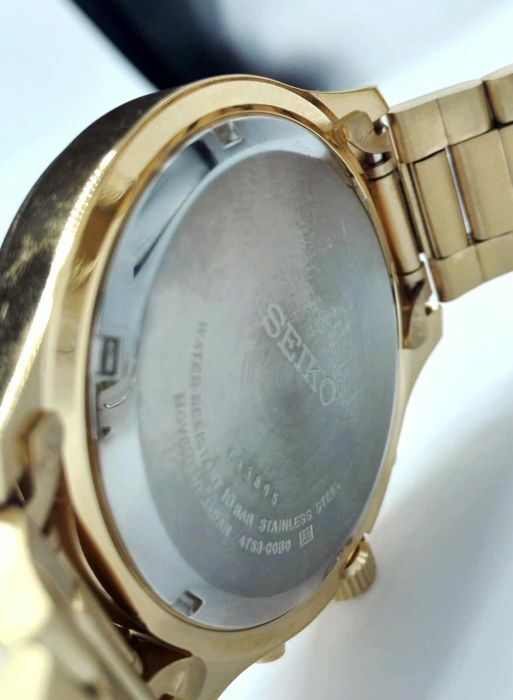 Dimensions: diameter 44 mm Anti-reflective finish. 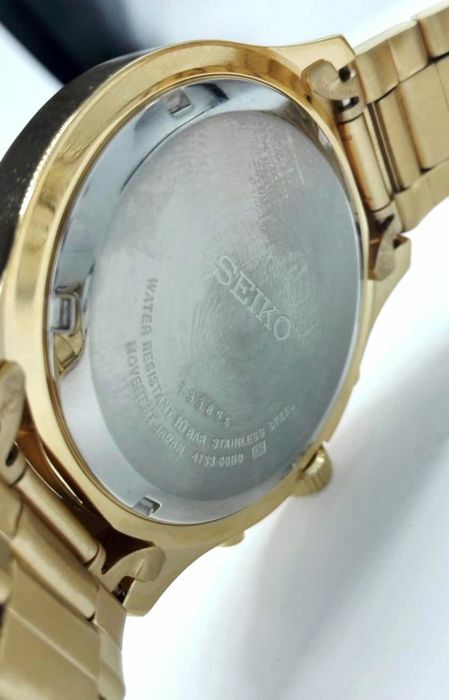 Case back: polished steel screw-down case back with area reserved for custom engraving. 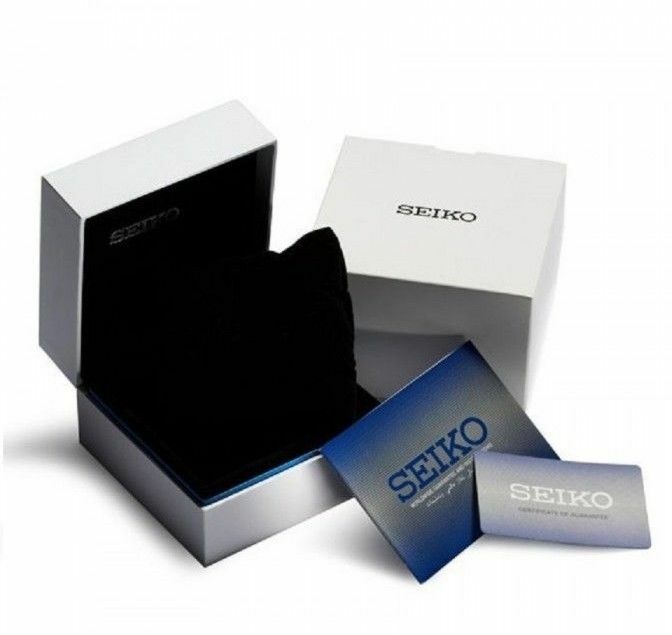 Glass: 700 Vickers scratch-resistant mineral crystal, with anti-reflective coating. 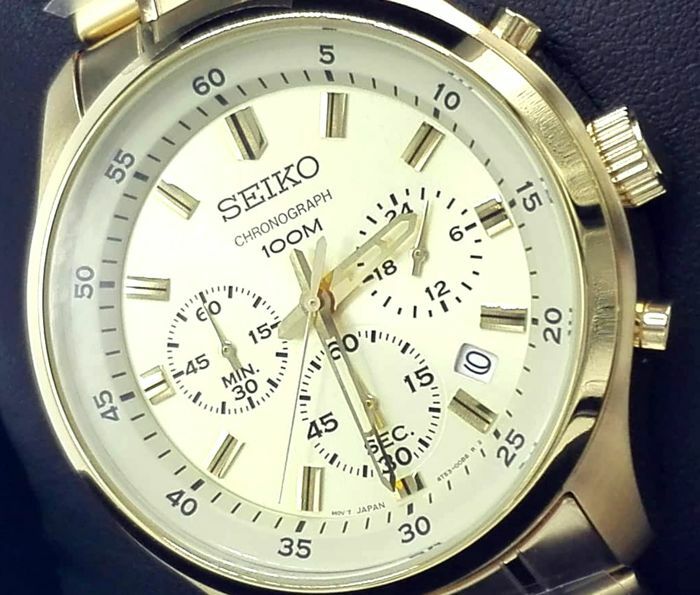 Dial: Bicolour yellow with three indicators and date at 4/5 o'clock. 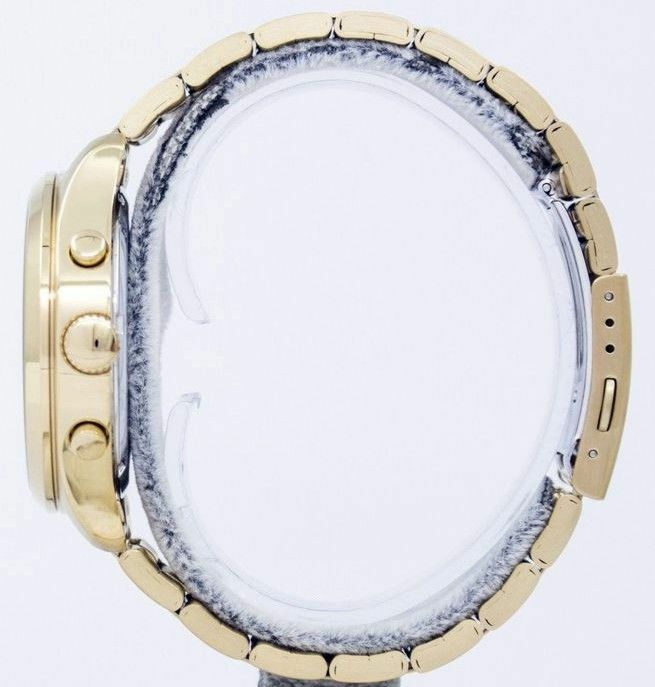 Hands: All in 18 kt laminated gold. 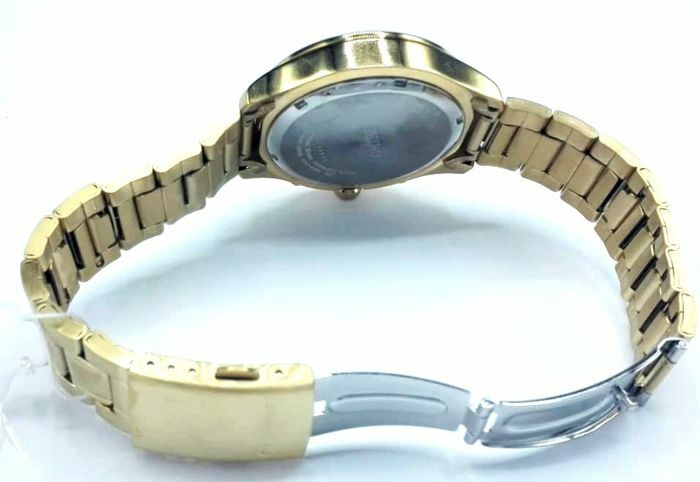 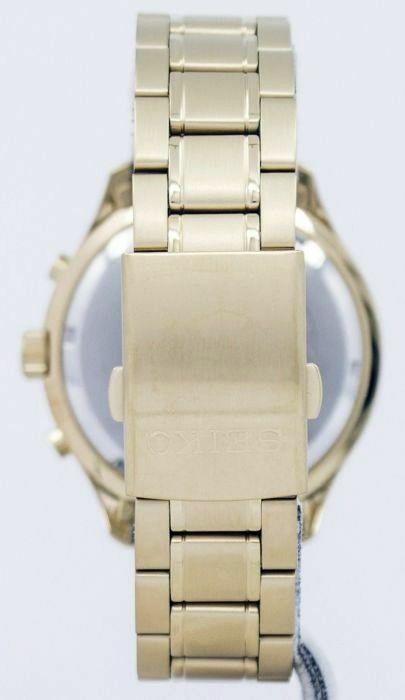 Strap: in smooth and satinated gold-plated 18 kt steel. 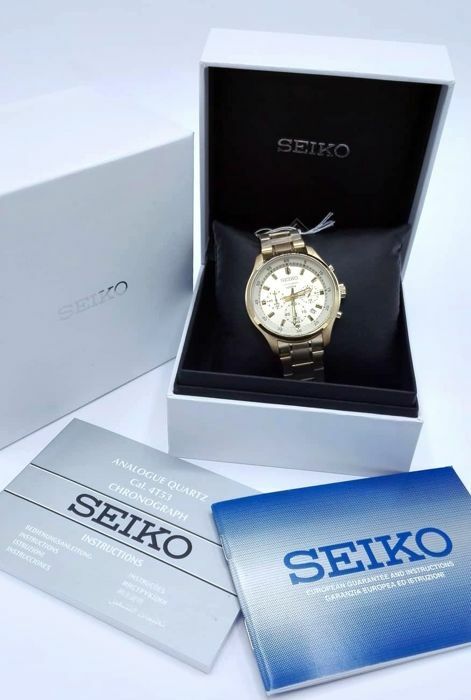 Complete with official box, warranty and documents. 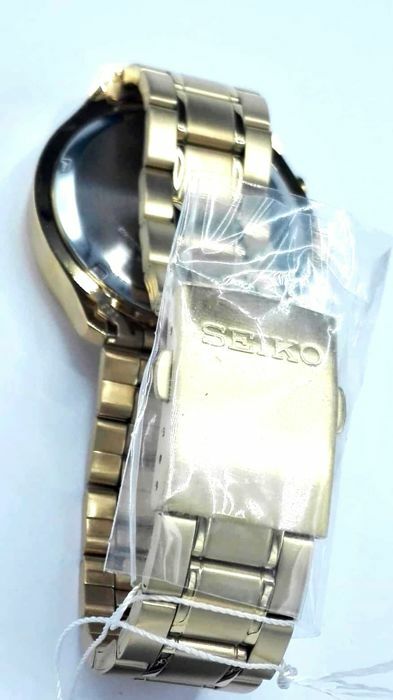 The lot shown in photo is what will be shipped.